A Season Premiere is the first episode of a new season in the Great Smoky Mountains! It's a time of beauty and celebration! It's a time of fun and exciting things to see and do! Every season is different and filled with its own adventure! Whenever you choose to vacation in the Smoky Mountains area, no matter what the season, you choose an experience of a lifetime! Because every season has a "SEASON PREMIER!" the Great Smoky Mountains National Park and it's surrounding areas! The Season Premiere of summer is filled with wild animals frolicking through the woods! Singing around the campfire! Beautiful starlit nights! Friends laughing! Children splashing! Families creating beautiful lifetime memories! The Season Premier of Summer is a time for "hot" concerts, cool treats, and lots of shopping! It's all about cruisin' in go-carts, playing mini golf, riding roller coasters, and eating lots of ice cream, and delicious Smoky Mountain Fudge. It's a time for romantic nighttime walks, watching fireworks, and celebrating our independence! The Season Premiere of Autumn burst forth with indescribable beauty! Breathtaking views reveal the artistry of God! It's a special time when we're invited to flip through the pages of God's coloring book! It's old time fall celebrations, country music, crafts, and dancing in the streets! It's delicious pumpkin pies, and delightful decorations! 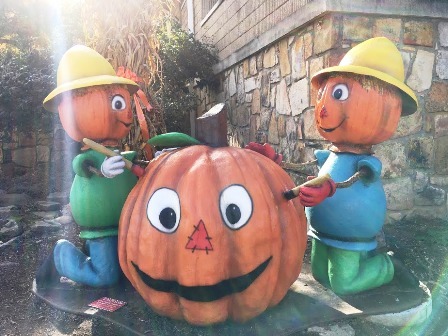 It's big orange pumpkins, funny scarecrows, and fall flowers on very corner! It's cooler temperatures, hot, spicy drinks, riding horseback, dinner with family, and nice warm beds! 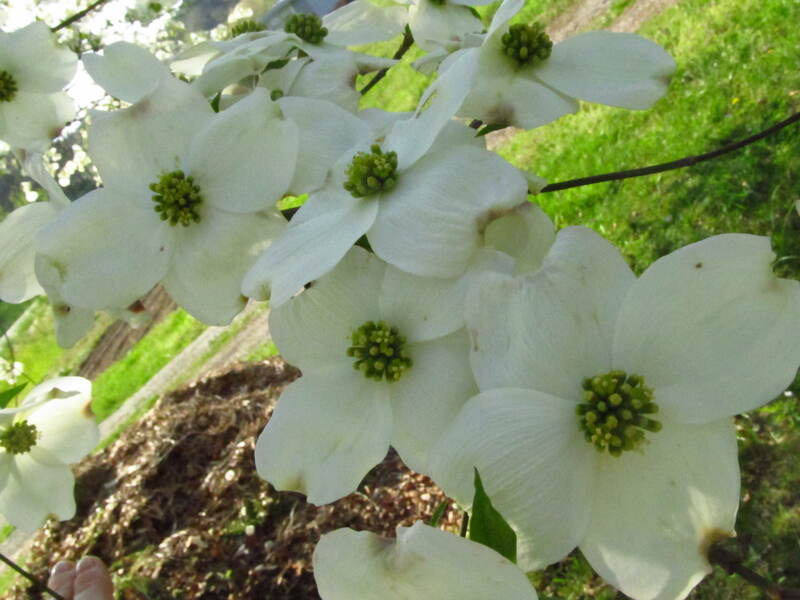 So many wonderful things happen during springtime in the Smokies! It's the Season Premiere time to see what's new in the theaters! (They're always bigger and better than the season before!) It's a time to enjoy the attractions! Both old favorites, and those brand new! It's a time to enjoy spring festivals like Bloomin' BBQ, and Bluegrass, A Mountain Quilt-fest, Dollywood's Festival of Nations, and Smoky Mountain Tunes, and Tales. It's time to celebrate with .the annual spring parade! The beauty of God's creation comes alive with music as birds sing their glorious song! Vivid colors burst forth with the fragrance of lovely flowers and trees of green! A cool breeze whispers softly through these mountains...it's time for spring! Winter is a Season Premiere of snow glistening in the moonlight as snowflakes fall softly to the ground! Quietness is now upon the mountains as she sleeps. Her majestic peaks, covered in white, create a mirage of loveliness as never seen before! The valley is fully awake as Christmas fills the air! Winter in the Smokies is about celebrating the birth of Jesus in drama, and song! It's Winterfest with millions of twinkling lights, hot wassail, (just try it) and electrical parades.It's about the glowing faces of children, Santa Claus, and over-sized toys! It's special Christmas dinners, shows, indoor water parks, ice skating, and skiing! It's hundreds of Santa Clauses running down the street! (Not kidding!) It's a nice cup of hot coffee, or cocoa by the fireplace! It's sharing love, and special times with family and friends. It's a romantic ride through town on a beautifully decorated horse and buggy!